Knives and forks akimbo. Napkins scrunched into leftover soup. Diners wandering around the restaurant while on the phone. 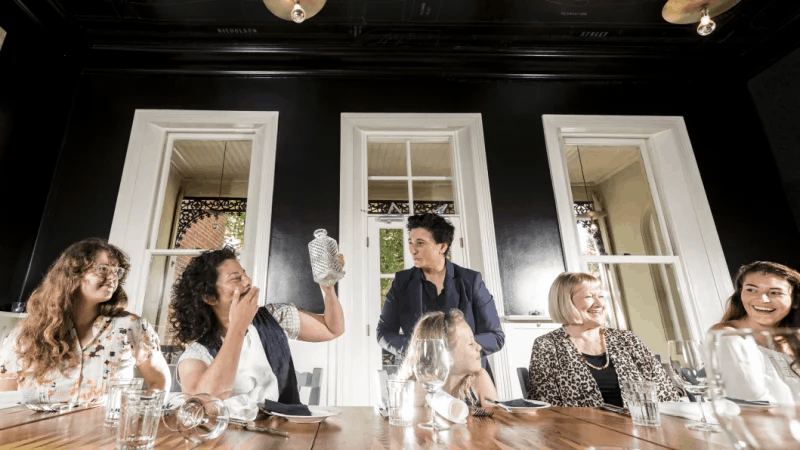 Restaurateur Angie Giannakodakis has witnessed it all in a hospitality career that’s spanned 33 years and, in her estimation, has seen her serve “four MCGs” of diners in Melbourne. But in the past few years, Giannakodakis has noticed an upsurge in diner behaviour that’s made it harder for her to deliver the kind of seamless, joyous experiences that make people fall in love with fine-dining restaurants and, along the way, give waiters the satisfaction of having served up happiness along with scallops, steak and souffle. Giannakodakis isn’t sure if it’s to do with the casualisation of dining, the demise of family mealtime or a rushed click-and-eat culture, but she does know she wants to do something about it. So she’s launched Restaurant School classes to teach people how to be better diners. 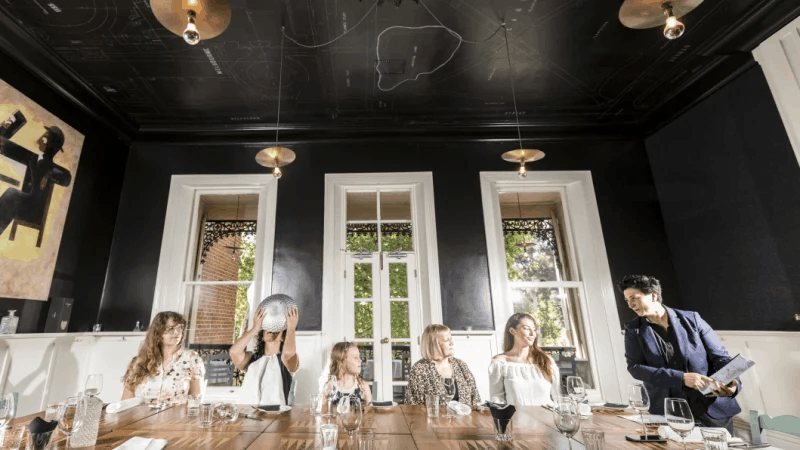 The first class took place on Saturday at Epocha, her graceful Carlton restaurant. At the two-hour class, participants were instructed in dining codes such as which cutlery to use (start at the outside and work in), how to hold a wine glass (by the stem, not the bowl) and how to pay the bill in a nice restaurant (at the table, not standing by the door). Participants – including Ann Brady, a keen diner who brought Lani, her eight-year-old granddaughter – heard about chewing gum under the table (cleaning it up is a weekly job), how to set a table properly, and that it doesn’t help your waiter if you stack plates. “This is not about shaming people,” Giannakodakis says. “This is about helping diners learn how restaurants work so that they can have a better experience. “If someone doesn’t know to put their knife and fork together to signal that they’ve finished a dish, then we have to watch them, ask them, disturb them before we can clear their plate. “We see some customers get visibly annoyed about it, whereas 10 years ago we didn’t have that issue. “Customers stacking plates actually slows us down – we don’t stack plates like you do, and it means we have to come to the table twice. This extra work means service staff have less time to deliver the special touches that turn a feed into a five-star rhapsody. “We want to nurture diners, not second-guess them or control them,” Giannakodakis says. “We want that beautiful interaction, that warm expression of humanity that can happen in a restaurant. To find out about future Restaurant School sessions, visit Epocha. This article first appeared in the Sunday Age. Listen to me chatting about this topic on the radio.